For those with teeth and gum problems, Waterpik Water Flossers is a huge gift. The Waterpik Water Flosser helps brighten teeth and get rid of bacteria trapped in between teeth and gums. It would be nice to provide someone with a big, healthy smile for Valentine’s Day. Water Pik, Inc., a leading developer and manufacturer of innovative personal health care products, has expanded its new Aquarius™ Designer Series to four stylish colors. 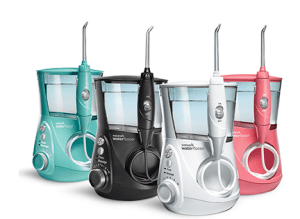 The new Aquarius Designer models make the act of flossing as aesthetically pleasing as the end results they provide. Expanding on the introduction of its “Radiant Pink” Aquarius model, which was launched this October in conjunction with a charity program during Breast Cancer Awareness Month, the Aquarius Designer Series now comes in three more attention-getting colors: “Vibrant Teal,” “Brilliant Black,” and naturally, “Pearly White,” a shade which aptly describes the healthy smiles that come from these high tech, high-performance oral care products. Add “whiter teeth” to your list of New Year’s resolutions for 2015! Infinitely White has made teeth whitening easier and less time consuming with their Infinitely White Tooth Shade Protectant. With the help of their new product, users can save money and time on their daily oral hygiene routine. Infinitely White isn’t only cost effective, it’s deliciously resistant to stains. Your teeth finally get the tough protection they deserve from the clear microcrystalline barrier you swipe on every morning, and before eating and drinking. With the tooth shade protectant, you no longer have to worry about staining your teeth from coffee, wine, berries, tea, tobacco and red sauces. Go ahead and dig in to your favorite treats, Infinitely White has got your teeth covered…literally! The tooth shade protectant is derived from the finest ingredients for your comfort and health. They include: Peppermint oil (for a refreshing taste), mineral oil, microcrystalline wax, vitamin E, and dicalcium pyrophosphate. It only takes five ingredients to get that smooth texture that you can hardly feel! 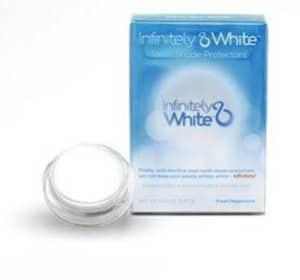 For more information on the product, visit them online at www.infinitelywhite.com. A perfect clean every time, Philips Sonicare DiamondClean is a premium whitening brush that comes in both black and pink. The perfect ‘His & Hers’ gift for any couple this Valentine’s Day, Philips Sonicare DiamondClean’s innovative features and sleek design go hand in hand. Many of us included daily exercise as a primary New Year’s resolution. Keeping that resolution can result in more aches and pains than usual due to the demands of the regime. Reaching for OTC pills is not always the healthiest solution. A healthier solution for pain management awaits with the availability of topical analgesic products in the form of creams, gels, sprays and patches. By putting the medicine right at the site of pain, bypassing the stomach and liver, Salonpas can use less medicine to deliver an effective dose. Try it and we think you will agree that Salonpas offers powerful relief when and where you need it. 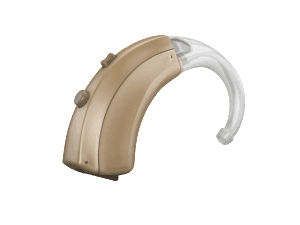 Hearing aids are a unique and customizable gift that promotes health among the 48 million Americans with hearing loss. Hearing health plays a critical role in people’s overall health and well-being, so there is no better gift for a loved one. What’s more, hearing loss affects one in five Americans aged 12 and older, but fewer than 20 percent of those people currently use hearing aids – often due to the high cost or lack of awareness of the available options. 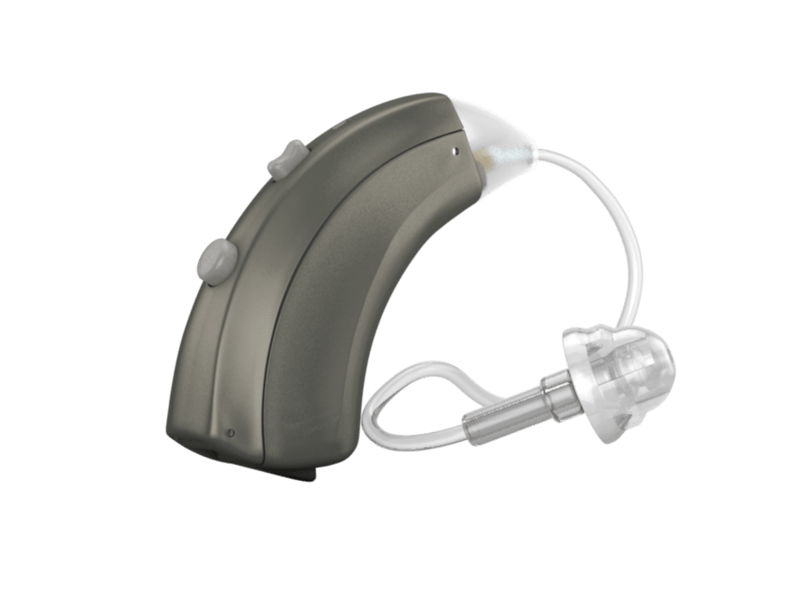 With that in mind, people should consider giving a hearing aid from hi HealthInnovations, which sells hearing aids for far less than historical prices, both online and directly to people nationwide. The high-tech, custom-programmed digital hearing aids retail for $799 or $999 per device, which represents as much as a 60 percent discount compared to most competitor prices that can exceed several thousand dollars per device. 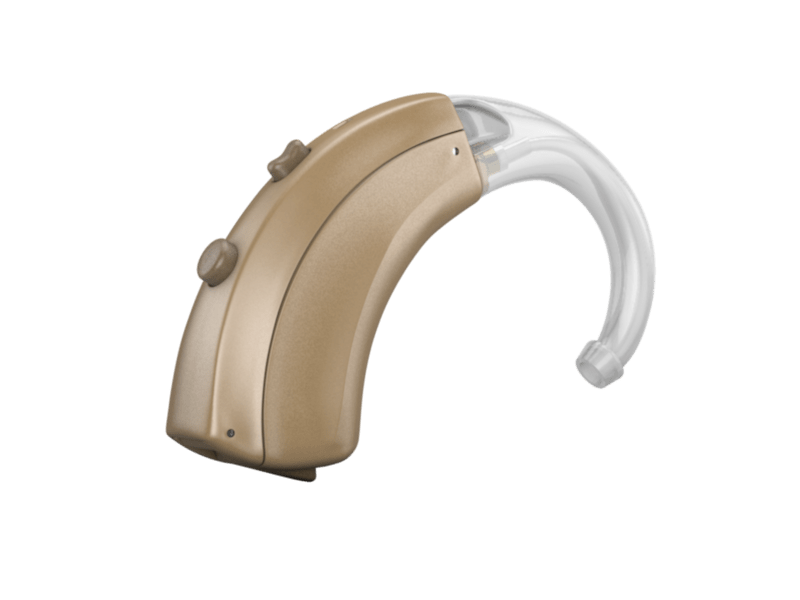 In addition, hi Health is unique in that it is a national hearing aid company, with hearing health professionals located in cities nationwide. That means travelers can receive fittings and support in their hometown and elsewhere. Giving a hearing aid as a gift is easy – simply call hi HealthInnovations at 1-855-523-9355 to order a gift certificate in any dollar amount. The gift giver will receive an email with a gift certificate code, which can be redeemed by the gift recipient following a hearing test performed by a health care professional. 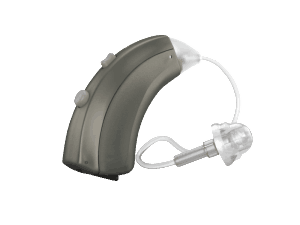 The hearing device will then be shipped directly to the gift recipient’s home. When it comes to the perfect gift for the special someone in your life, bath and skincare rates pretty high on the list. Let’s face it, these products are so popular because they are pampering, nourishing, smell great and are well loved by people of any age. Earth’s Enrichments provides luxury skincare at it’s finest. Made from only the best all natural and organic ingredients, these products are sure to be a hit with anyone on your shopping list. The USDA Organic Body Balm is the perfect way to say “I Love You” in a gift! Featuring luxurious shea butter and 6 other essential oils as well as yummy scents like Lemongrass, Lavender and Seaweed, this is the only BodyBalm anyone will need! No greasiness or stickiness, USDA Organic Body Balm is just amazing hydration that penetrates deeply into skin. You can even wash your hands 2 or 3 times without having to reapply! Combat winter dryness with a balm that leaves skin smooth and hydrated while smelling divine! The USDA Sugar Scrubs are a sweet treat for anyone! Earth’s Enrichments’ Sugar Scrubs are like nothing you have ever used before. Instead ofdrying skin like most sugar scrubs, these contain healthy oils like olive and coconut so you are replenishing moisture while exfoliating! No need to sacrifice healthy skin to exfoliate! Available in 3 refreshing scents, these USDA Sugar Scrubs are the perfect gift when you want to get something unique and lush! When you are looking for a bar soap that won’t dry out your skin, but instead will leave it feeling great, check out the USDA Bar Soap and you won’t be disappointed. Since this bar soap is not made with water it won’t dry out skin like other bar soaps on the market. Instead, it is enriched with coconut oil and aloe vera: two ingredients known for moisturizing and replenishing skin. Why not get your loved one a bar or two in absolutely luscious scents like Lemon Fresh Shea, Calming Spa Seaweed, Chai La Tea just to name a few! This Valentine’s Day, think outside of the box of chocolates and a dozen red roses. Give the ultimate gift of relaxation! 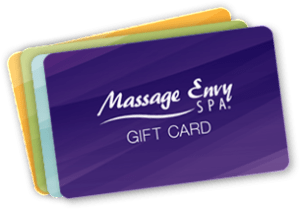 Massage Envy is the go-to spa for rest and relaxation, complete with an affordable price tag. Massage Envy offers an array of massage treatments including trigger point therapy, Swedish massage, deep tissue massage and more. Massage Envy also offers specialized facials like clarifying, anti-aging and sensitive skin treatments. Stop by your local Massage Envy location and pick up a gift card for your special someone. The gift of a relaxing massage or facial will kick off your loved one’s Valentine’s Day right! To find the spa location nearest you, visit: http://www.massageenvy.com/.